Westside Superintendent Dr. Blane McCann delivered a BRILLIANT speech at our District’s commencement ceremony last weekend. His theme: purpose. In front of thousands of graduates, parents, family members and educators, he said in part..
Purpose is the little flame that keeps you going. Your challenge after today is to find that flame: your purpose. It is something that your parents can’t find for you; you have to look for it. It’s not always easy to find. Every, single one of you has a unique purpose to fulfill. Every single one of us is here for a reason. My friend Lisa recently told me something that I have thought about off and on ever since. 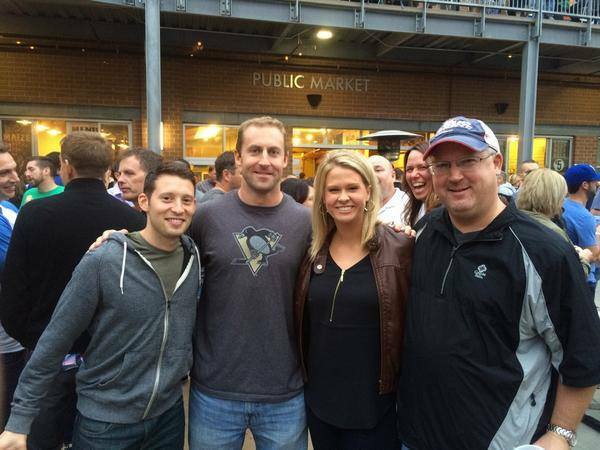 Her husband is Brian Duensing, a pitcher for the Chicago Cubs. Brian was one of the best pitchers the University of Nebraska – Lincoln has ever produced. He’s an Olympian, representing the United States on the 2008 US Baseball team in Beijing. He was a starter for the Minnesota Twins for years, and now plays for the World Champions in Chicago. He and Lisa could do anything, enjoying his success and living a life few only dream of. Instead, these happily married parents of three devote every, waking hour to their passions: family and doing everything in their power to ensure happiness for other families. As Brian’s fame grew, he and Lisa started receiving T-shirts in the mail, asking him to share support for pediatric cancer patients across his popular social media accounts. The Duensings embraced the challenge; every day of every September, Brian sports a new shirt and shares information about that child and their cause. He and Lisa started the Brian Duensing Foundation, a non-profit organization taking these fundraising efforts to an even higher level. Every game, as players wives sit in the stands, Lisa sits in the family lounge and works for hours on Foundation plans and ideas, like their now annual fundraiser bringing baseball’s biggest names to Omaha to raise money for pediatric cancer-related causes. The Brian Duensing Foundation Event in 2015 at Ralston Arena. I was honored to emcee the fundraiser and VIP Q&A session with World Series Champion Alex Gordon, Duensing, future Hall of Famer Joe Mauer and the MLB’s first ambidextrous pitcher Pat Venditte. The Duensings have raised HUNDREDS OF THOUSANDS OF DOLLARS for Nebraska based causes that help families battling cancer. That text I mentioned that Lisa sent me? This year, Brian and Lisa Duensing will focus their purpose on a little boy named Sammy. At four years old, Sammy Nahorny was diagnosed with Neuroblastoma, a solid tumor that begins on immature nerve cells, and is very difficult to treat. Many cases of Neuroblastoma begin in the abdomen, and commonly affect the adrenal glands. Within days of his diagnosis, Sammy had surgery; doctors told his parents his cancer was Stage 4 and high risk. His mom, Erin and dad, Chris, immediately started researching options.. and found few. Their quest for hope was far-reaching and relentless, not just for Sammy, but for every other child facing this terrible disease. Their community in Columbus rallied, drawing the support of not only the Duensings, but of Miss Nebraska USA 2014 Amanda Soltero, Olympic Gold Medalist Curt Tomasevicz, music superstar Jason Derulo and more. 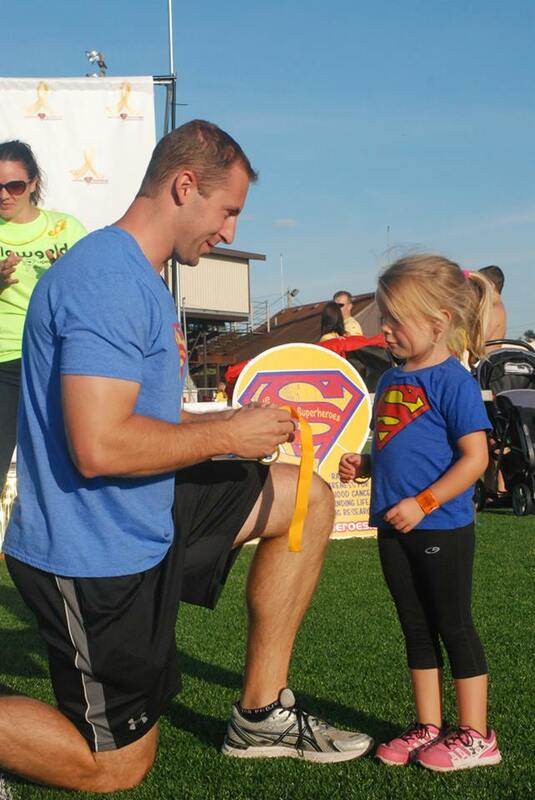 They all united to become Sammy’s Superheroes… and have raised hundreds of thousands of dollars and counting for research, assistance and more. Just as importantly, they have become a voice, loud and clear, for all children and families regarding legislation, funding and awareness. This superhero squad has grown yet again in recent months. Alayna Wilson is a recent graduate of Scotus Central Catholic, a cheerleader for both her school and her entire hometown of Columbus, Nebraska. A girl with a constant smile and self-described ‘bubbly and happy’ personality, she was looking for a way to make a bigger difference advocating for causes like Sammy’s Superheroes. She found it when crowned Miss Gering 2017 in February. And a BUSY one at that, much like every other weekend in Alayna’s jam-packed senior year. She’s a competitive dancer, and a member of the All-American team by the National Cheer Association. The same day she met her fellow titleholders at Miss Nebraska Orientation, she immediately left to head back to Columbus for a major competition. Still, to Alayna, this new title meant responsibility; to serve others. She’s volunteered for fundraisers in Columbus, Lincoln and Omaha, even using her Senior Skip Day to travel to Children’s Hospital and Medical Center to deliver care packages for the Miss Nebraska Serves project. And meeting others is part of what has made this journey so memorable for Alayna. I’m guessing the Nahorny’s would say the same thing about their network of superheroes. The strangers and neighbors, the celebrities and friends, the Duensings and Alayna Wilson… they are all part of a supportive and encouraging squad of strength who love Sammy like family. Sammy IS a superhero. This fall, just months after passing the 5th anniversary of his diagnosis, he’ll join us own personal Justice League to fight the evil that threatens so many innocent children just like him. We will find a way to beat cancer, allowing Sammy to find his purpose, just like his Superheroes Brian and Lisa Duensing have. Alayna Wilson hopes to follow in their footsteps. Click here to follow Miss Gering 2017 Alayna Wilson on Facebook! Alayna was crowned at Crowns & Gowns 2017, Nebraska’s largest annual prom/pageant showcase. CLICK HERE for more details about the 2018 pageant and event! You can also email Director of the Miss Gering/Miss Western Nebraska Pageant, Heather Hayes, by emailing Heather.Hayes@charter.com. There are also things we each know are not our strengths. Plants literally die in my presence. I am a junk food junkie (currently fighting the urge to eat Gardettos instead of apples). I CANNOT dance. At all. Not even a little bit. .. my posture. I HOPE that’s not the first thing you notice when you look at this wedding photo on my bestie Melissa’s special day–because SHE IS GLOWING! (And my other besties Jenni and Pammie are pretty dynamite, too!) But to me.. I just focus on my crooked-as-all-get-out-shoulder… just a glimpse into the poor posture and resulting slouch I’d developed after 20+ years. Last summer, fearful I was going to be a hunchback before I turned 40, I finally sought out advice and found Dr. Vanessa Green at Elite Chiropractic. This woman has changed my life. At my first appointment, x-rays showed that I had a pretty severe curvature of the spine. What’s more, I discovered my chronic headaches, which I just chalked up to allergies, stress and LIFE, were NOT normal. I’ve been seeing Dr. G once a week ever since, and I truly FEEL a difference in how I view health, how I function, and how I carry myself on a daily basis. NOTE: This is not a paid promotion, endorsement or advertisement for Elite Chiropractic. I’m simply a very happy client.. and this is all transitioning to a bigger story, I promise! When I first read Allison Baird’s story, Dr. G was one of the first people I had to tell. I had NO IDEA what this beautiful young girl was hiding underneath gorgeous gowns and a dazzling smile. The Allie on the left is the girl I’ve known for about two years now.. the photo on the right shows what her spine looked and felt like within her body. Allie had been diagnosed with scoliosis at 13 and underwent physical therapy, but she had no idea how dramatic her problem had become. Still, that dire diagnosis from a doctor didn’t derail this incredible young woman from everything she intended to pursue. THAT IS the Allie I know. Without skipping a beat, Allie entered the first Miss pageant she was eligible for.. and in her first try, won the title of Miss Scotts Bluff County 2016. And with that support system firmly in place, Allie began a nonstop year of appearances, college preparation, and activities as a senior at Gering High School. Allie is a 4-time state speech medalist, she’s held lead roles in all of her school’s theater productions since her freshman year, she’s a nationally-qualifying DECA member, she’s captain of the Varsity show choir, and was a cheerleader at Gering for 3 years. An aspiring actor, singer, journalist (or all of the above! ), Allie is also a news anchor for her broadcasting team, the Editor In Chief for her high school paper, she’s had articles published by her hometown paper, and she’s shadowed yours truly here at KETV. 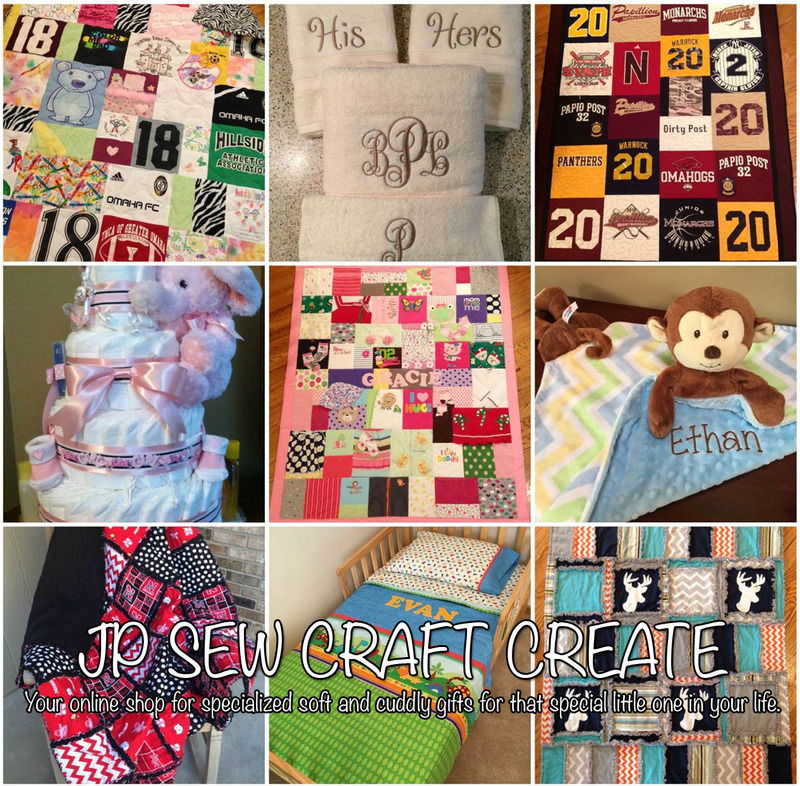 Somehow, Allie finds time to volunteer in her community as Miss Scotts Bluff County, whether it be making quilts, donating blood, or simply making a child smile. She speaks to groups large and small about her personal platform, ‘Learning CURVE’, teaching courage, understanding, respect, value and empathy. Her favorite part of the pageant experience is Interview, the chance to tell a panel of judges about everything she’s doing. Public speaking is the ONE THING I promote to EVERY SINGLE CLASS, STUDENT AND INTERN who I come in contact with, and Allie Baird is a shining example of WHY that tool is so powerful. It’s a trait she credits to her participation with the Miss Nebraska Organization. A final confession.. I am pretty ASTOUNDED by this young woman, and consistently shocked that this kind of maturity, intelligence, and independance are already so strong in a girl who JUST turned 18 years old. Complete disclosure, she may also be my little boys’ favorite, after staying with us during a trip to Omaha this fall and playing ‘Olympics’. Allison Baird connects with people, and inspires them. She works hard and stays humble. She stands tall, despite the things we don’t see that might break others down. That is the message she hopes to take across the state if crowned Miss Nebraska 2016. For more information about the Miss Scotts Bluff County Pageant, CLICK HERE to visit their Facebook page and HERE on their website. For information on becoming a contestant, contact Director Cheryl Engelhaupt by phone at 308-783-2940 or at 308-635-8615. PREVIOUS.. Miss Chadron’s Outstanding Teen 2016 Emma Wilkinson! NEXT.. Miss Dawes County’s Outstanding Teen 2016 Aubree Noble! Every week, as I write and visualize my next Throwback Thursday Husker feature, I inevitably bother three people EVERY. SINGLE. TIME. Photojournalist Tyler White… because he’s not busy enough shooting and piecing together daily news stories, or shooting Nebraska football games on the sidelines every weekend.. he’s also a GENIUS when it comes to editing these Throwback stories. He KNOWS the game; he KNOWS Nebraska Football; he KNOWS where every, single shot is in our archives. He now RUNS from me when I start walking his way on Wednesday or Thursday.. but I will CHASE him because he’s just that darn good. Producer/Editor/Photographer Josh Gear… because, simply put, THE GUY IS A GENIUS. If you have a technical question about ANYTHING, from YouTube conversions to graphics to format, Josh is THE MAN to help you. And he does it with a smile and positive attitude 24/7… even though he may be cursing on the inside because I bother him so much. 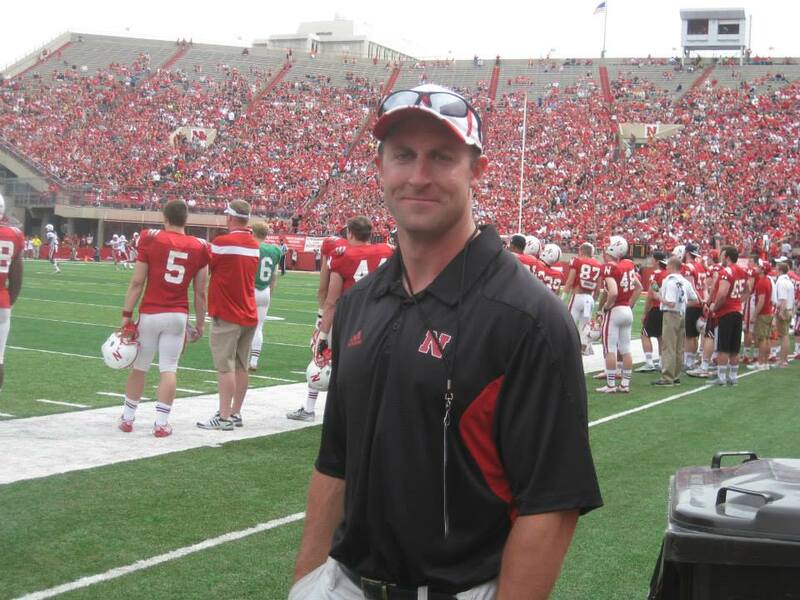 Sports Anchor/Reporter Matt Lothrop… because he is A VAULT of Nebraska football information. A VAULT. The dude knows every stat, every inside story, every little-known tidbit of info about the program. He can also find EVERYTHING I need when it comes to highlights and archive video. Yesterday, I asked for two clips from games in 2003 and 2001.. Matt brought them to my desk within 10 minutes. Folks, we just moved buildings–the fact he even knew where these tapes were is INSANE to me! When Matt came over to my desk, knowing I needed the material for a Throwback story, he asked who I was featuring. 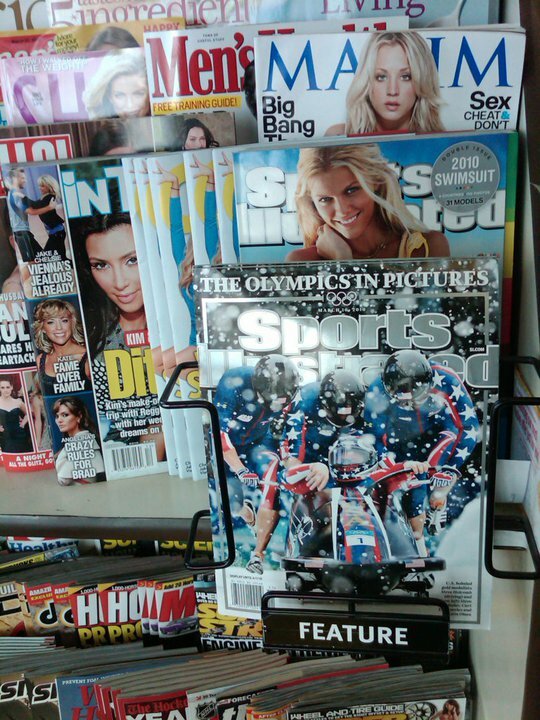 PROOF: 3-time Olympic Bobsledder, winning gold for the USA in 2010. Holds a Master’s in Engineering and is working on his PhD WHILE teaching students at the University of Nebraska-Lincoln. 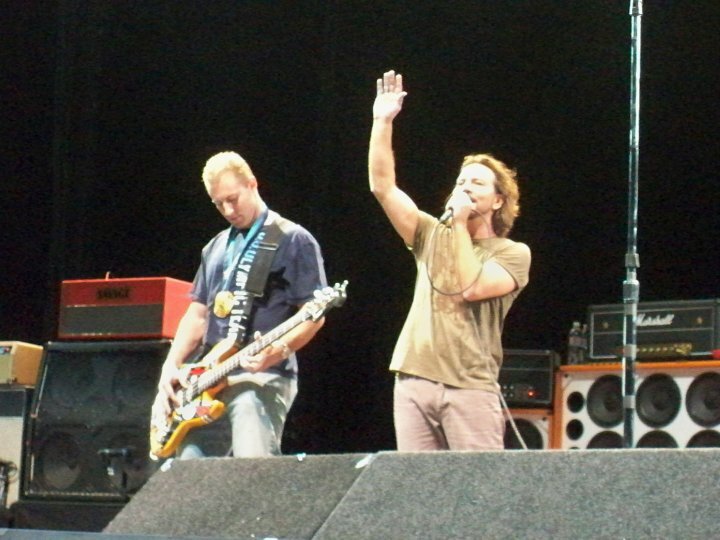 Plays guitar with his own band, and was even invited up on stage to play with legendary front man Eddie Vedder and Pearl Jam. Click here to watch KETV’s Throwback Thursday feature on #35 Curt Tomasevicz! I first heard about Curt YEARS ago through one of my friends, Mike Tomasevicz. Every time I’d see him, he’d tell me about his cousin, Curt, and the incredible things he was doing with the US National Bobsled team.. that they were winning events left and right and might make it to the Olympics. In 2006, THEY DID, representing America at the Turin games. Maybe it’s like eating one Lays potato chip.. you can’t just have ONE, you want MORE. 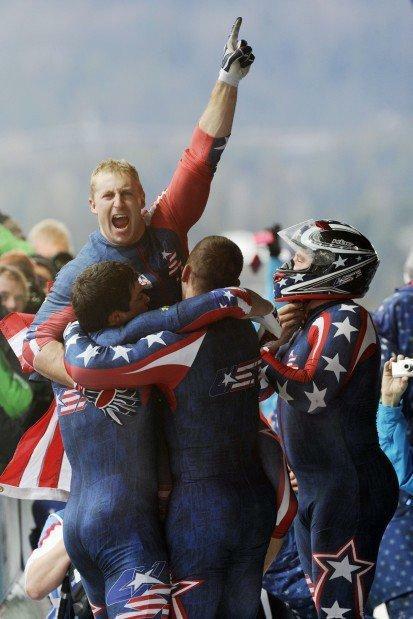 Tomasevicz and Team Night Train continued to compete, winning the World Championship in 4-man bobsled in 2009. Together, they traveled north to Vancouver to vie for Olympic Gold. An incredible feat, no doubt. What is also impressive to me is the way ‘Nebraska’s Olympian’ has handled his success… humble, gracious and down-to-earth. From the get-go, as KETV followed Tomasevicz’s success, he has responded to every text, every phone call, every email. He’s never ‘too busy’, or ‘too big’ for his home state. He’s a Shelby, Nebraska native who has never forgotten his roots, even if a few Husker fans may have forgotten that before he hit the bobsled track, he was a walk-on at Nebraska hitting the field at Memorial Stadium. Tomasevicz started at fullback, then moved to linebacker his junior year, playing in five games. He had a huge moment his senior year against Colorado in the opening drive of the game. Tomasevicz’s favorite moment came two years earlier before Nebraska’s game even began. The Huskers’ game with Rice was moved to a week night, just days after the attacks on America on September 11, 2001. Click here to see the 9/11 Tribute Tunnel Walk via HuskersNSide Production on YouTube. Off the field, Tomasevicz earned Bachelors & Masters degrees in Engineering, making the Academic Honor roll all eight semesters of his college career. 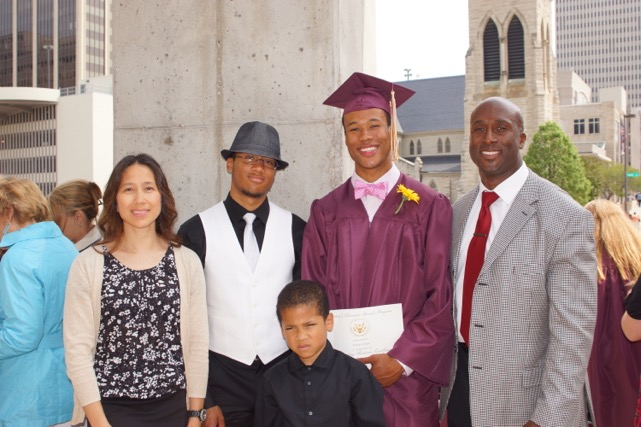 He was also named to he 2003 Brook Berringer Citizenship Team for his work in the community, especially with kids. Those volunteer efforts continued long after his time at Nebraska ended. Recently, Tomasevicz also took on a new role: professor. He’s teaching several engineering courses at the University of Nebraska-Lincoln while working on a PhD in biological systems engineering. In the classroom, Tomasevicz doesn’t want to be known as the Olympian or the former Husker; he just wants his students to see him as their instructor. As for today’s Huskers, there’s no scientific formula to fix the problems that have plagued Nebraska this season. (“That’s a sophomore level class, I’m sure,” joked Tomasevicz.) 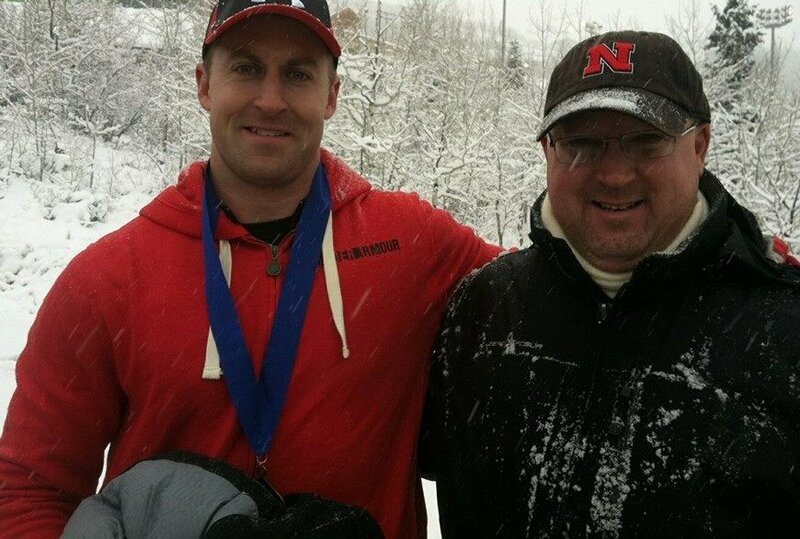 Still, this Husker, turned Olympian, turned professor, reflects back once again the experiences, often stemming from sports, that have helped shaped him. Tomasevicz, a season ticket holder and self-described huge Husker fan, will keep on cheering for his team either from the sidelines or from wherever he is performing Saturdays. Yes, performing.. he’s ALSO a guitar player, and his band, Blinker Fluid, plays at weddings and events across the state. 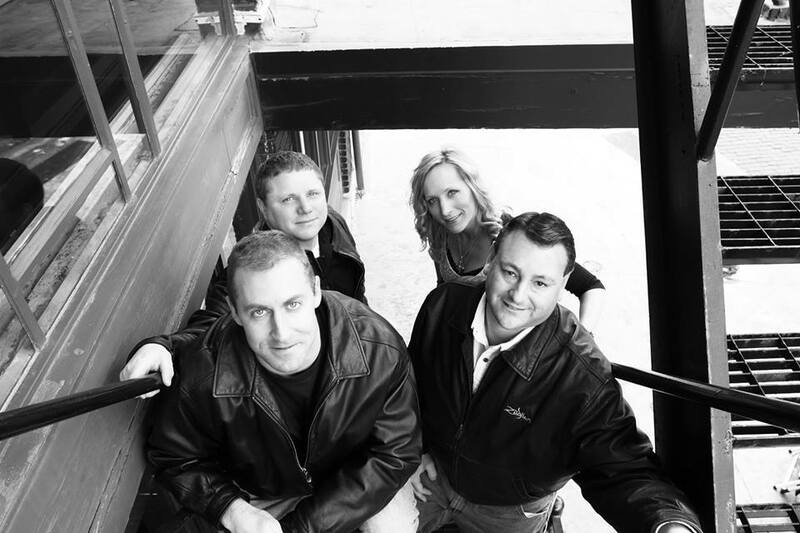 Click here to watch Blinker Fluid playing at a recent event in Lincoln! From science, to sports, to music, to LIFE.. here’s a guy who does what makes him happy, works hard at every challenge before him, and has found remarkable success on several fronts. He’s not just an All-American guy, he’s All-Nebraskan, and proud of it. I think Matt Lothrop was on to something… Curt, next time I bump into you at a Pearl Jam concert, I may try to convince you to join our team here at KETV. You’d fit right in with Tyler, Josh and Matt. 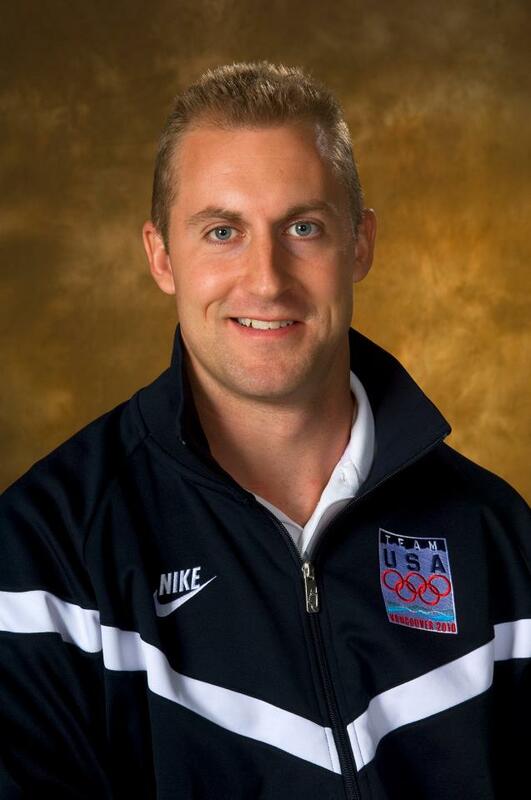 Husker, Olympian, Teacher, Throwback Thursday expert? I’m no scientist, but the idea is clearly GOLD. 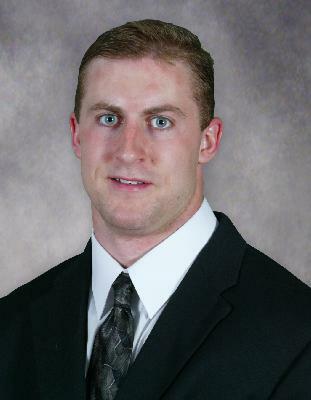 Click here to read more about #35 Curt Tomasevicz via his bio with Nebraska Athletics! Click here for more information about Curt Tomasevicz on his official website, on his official Facebook page, and on Twitter. PREVIOUS POST.. Class of 1990, Lt. Gregg Barrios! NEXT WEEK.. Class of 1982, Dave Rimington! A La Vista dad recognized early on in two of his children that his boys were gifted. He knows what athleticism looks like.. because he saw it in his own reflection in the locker room at Memorial Stadium. 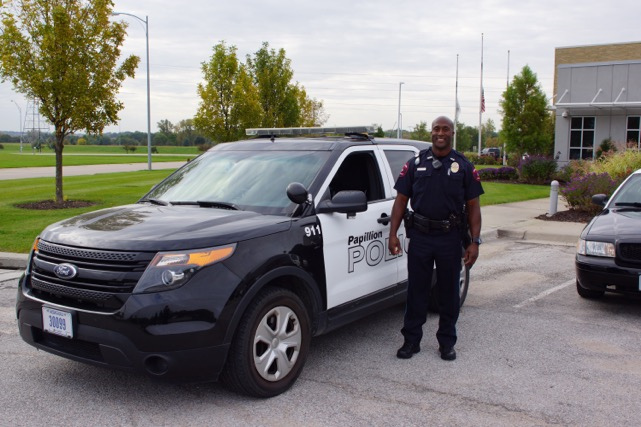 Curtis Cotton, now a father and Papillion Police officer, is also a proud member of the Class of 1991 with the Nebraska Cornhuskers football team. CLICK HERE TO WATCH KETV’S THROWBACK THURSDAY HUSKER FEATURE ON #9 CURTIS COTTON! 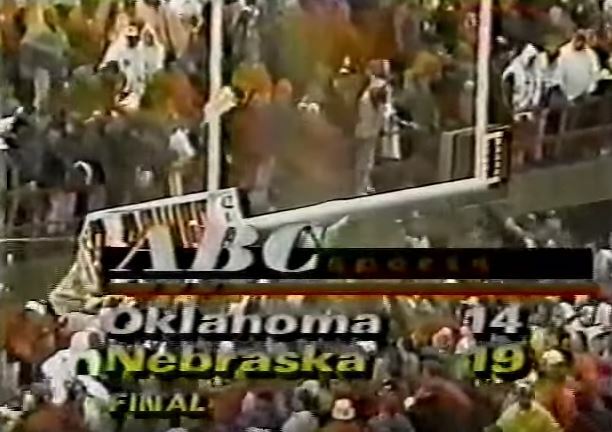 It’s hard to see in this blurry image, but when Nebraska played Oklahoma in 1991, it was downright MISERABLE. Fans throughout the stadium wore ponchos and rain gear, rain pooled all over the turf and every players’ breath was visible in the cold, fall air. Still, THIS, was Cotton’s favorite game as a Husker. Check out this video of the game thanks to ArenaTeam on YouTube. Players lifted Coach Tom Osborne onto their shoulders and carried him into the sea of fans rushing the field. 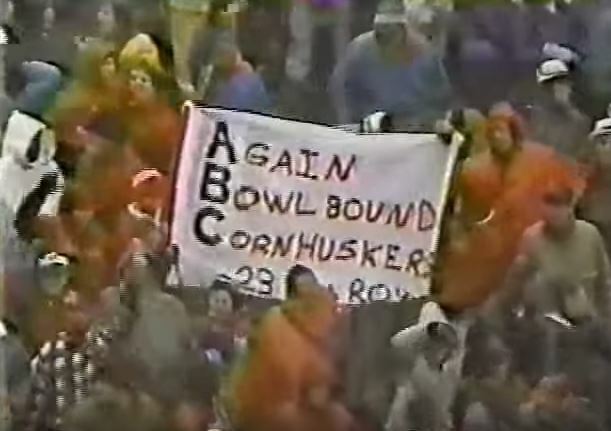 ABC broadcasters kept the final score graphic up over a shot of Husker fans climbing and shaking the goal posts, trying to bring it down. What a cool thing to watch, even via a grainy YouTube video. Kick up the volume, and it’s enough to give any Husker fan chills. While those days are no doubt special to Cotton, his adrenaline rushes these days stem from a different vantage point. Kenzo Cotton and KJ Cotton have both become something of high school legends in the Papillion-La Vista area. 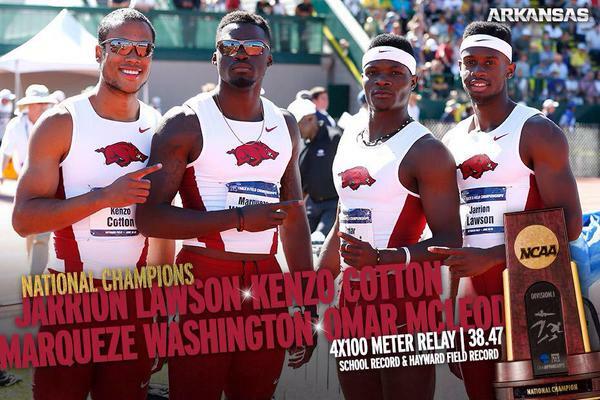 Kenzo became an 8-time state track and field champion, claiming the 200M title all four years he competed. Click here to watch Andy Kendeigh’s story with Kenzo and Curtis Cotton in May 2012! 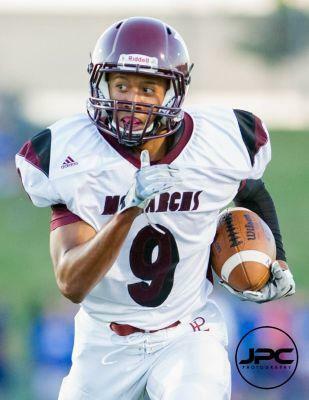 Kurtis ‘KJ’ Cotton is now a junior at Papillion-La Vista High School, also competing in track and field and playing on the varsity football team. #9 (yes, wearing his dad’s number), has already made several highlight reels for the Monarchs this season with his speed and athleticism. No word yet where he’s looking at for college, or if he intends to play college football like his dad. 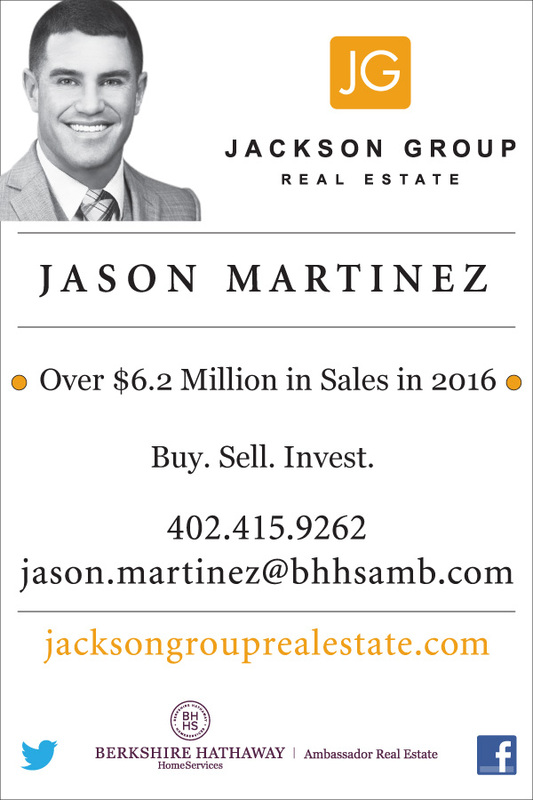 Click here to watch KJ Cotton’s touchdown run during Papio-LV’s FIRST game of the season! Kenzo told us back in 2012 he wanted to be just like his dad. Curtis shared his parenting advice with us back then. Three years later, Curtis Cotton is not only thinking of the sons following in his footsteps, but of today’s Huskers in the midst of a 2-3 season. Advice for anyone facing challenges, on or off the field. I guess what they say is true; father does know best. WEEK FIVE.. CLASS OF 1970 JERRY MURTAUGH! NEXT WEEK.. CLASS OF 2003 DR. JUDD DAVIES!